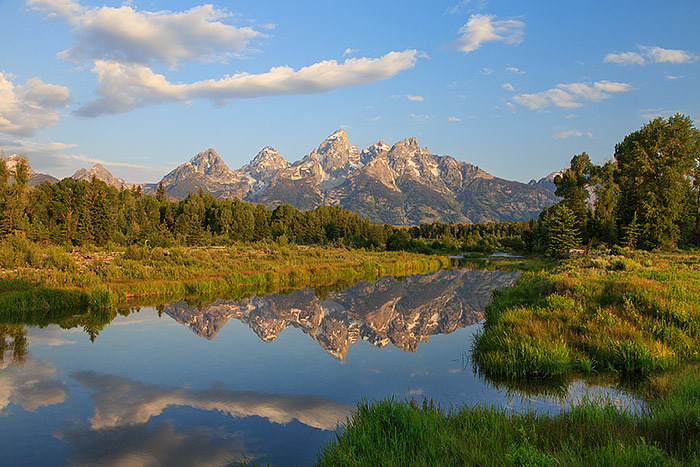 Clouds drift over the high peaks of Teton range while the Snake River reflects this glorious Wyoming morning. This was a perfect morning. There was no wind this morning at Schwabachers Landing which allowed for a beautiful reflection of the Grand Tetons and the airy clouds overhead. Photo © copyright by Thomas Mangan.